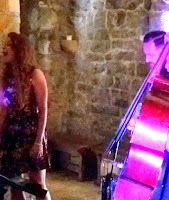 Zoë Gilby (voice); Andy Champion (double bass). The second DJazz: The Durham City Jazz Festival has built upon last year’s inaugural event with a much-expanded schedule of performances and venues. 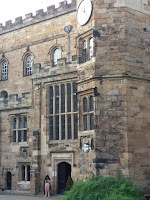 The organisation is most impressive and a gig in Durham Castle’s ancient Norman Chapel proved to be an inspired choice. Tyneside vocalist Zoë Gilby together with bassist Andy Champion opened DJazz 2018 performing in the ancient 800-year-old atmospheric, intimate space. Few could have envisaged it as a viable proposition and yet it worked brilliantly. The Windmills of Your Mind opened Gilby and Champion’s set, a set played entirely acoustically. 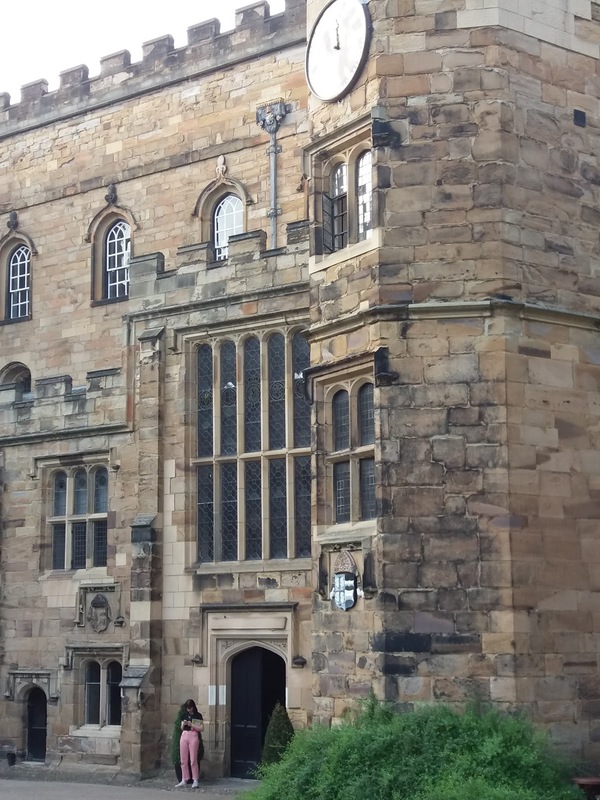 A dimly lit space, the Norman Chapel has the most amazing acoustics. Paul Simon, Kate Bush, a few standards, the set list familiar, the duo’s performance exceptional. Talking to the audience, or in full voice singing, Gilby projected effortlessly to all corners of the room. Double bassist Champion must have relished performing in such a location; bowed bass parts conjured JS Bach, or perhaps Pablo Casals. Ms Gilby spoke about meeting Sheila Jordan, painting a picture of the legendary American vocalist. In doing so, Nice Work If You Can Get It was dedicated to the bop era survivor. Festivals are full of riches such as this first concert, yet it was time to move on to the nearby Palace Green Library, but not before hearing Victor Young’s A Weaver of Dreams. A dream opening to DJazz 2018.